In 1566 iconoclastic riots spread over the Low Countries, starting in the Southern Netherlands and quickly moving to the north. By the removal and destruction of statues, stained-glass windows etc. churches were to be adapted for use by the Calvinists, who regarded their beliefs as the only true religion and Catholicism as satanic idolatry. In many cases churches became protestant ones for several days. But because of the hesitation of the authorities to respond to this vandalism, king Philips II sent Spanish troops to avenge the destruction and re-establish central power, followed by the 80-Years War. In all areas that the protestants managed to capture the catholic church was banned. 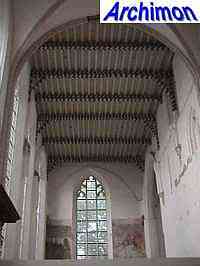 Many churches became protestant ones, others were simply closed or given a new use. It also happened that catholic priests suddenly converted to protestantism and became ministers, often followed by much of their herd. In all cases the churches sooner or later were physically altered to suit their new use or the taste of their new owners. Others simply fell victim to neglect. 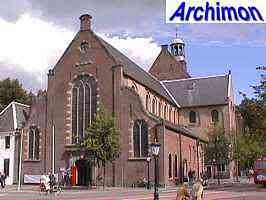 The very first church adapted for protestant use was the Nieuwkerk in Dordrecht (ZH) in 1572, a church still mostly in Gothic style. Essentially it consists of the outer shells of two choirs of a previous church, connected inside and closed on the other side, resulting in a centralized church. 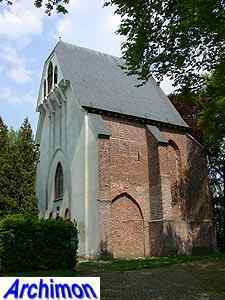 An even more radical conversion is the reformed church in Overasselt, which is basically the 15th-century choir of a church that was otherwise demolished in 1710. Obviously this building was large enough for the protestant minority of the village. Using only part of a church was common in those areas where catholics continued to form the majority. The rest of the church often fell into decay. 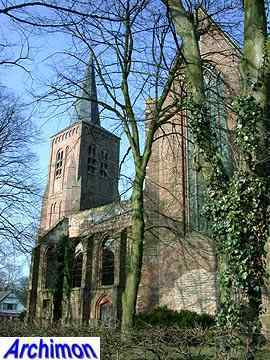 This reformed church in Dongen (NB) is one of only a few remaining ruins. In 1926 the roof collapsed after centuries of neglect. 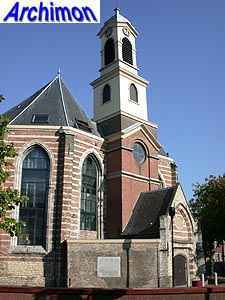 The choir and transept are still used as a protestant church, while the tower survived because of its profane functions. A large protestant majority was not always a guarantee for good maintenance. 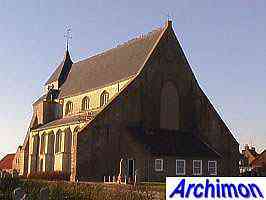 The reformed church of Scherpenisse (Z) lost its choir and transept in the 18th century. This provided the opportunity to install a window in the east wall. Changes were often executed in a style different from that of the original building. After a storm destroyed most of its western part the St. Jan in Utrecht (U) was given a new facade in Renaissance style in 1682. The interiors were stripped from their catholic furnishing and often repainted white to hide all murals. This also happened in the Jacobikerk in Utrecht, where more recently some murals were rediscovered and made visible again.